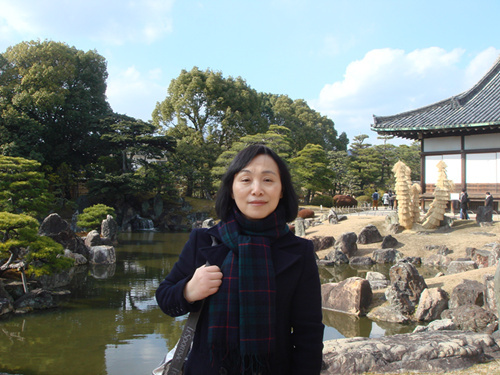 Born in 1962, Liu Xiangli began her education in the Department of Economics at Renmin University of China in 1980. One year later, she was sent to Japan for further study by the Ministry of Education. Liu obtained a doctoral degree from Nagoya University in 1996. Currently, she is a research fellow from the Institute of Industrial Economy at the Chinese Academy of Social Sciences (CASS) and professor at the affiliated graduate school of CASS. Liu’s studies focus on development and management of human resources, including such interests as skill development, knowledge management, mechanism comparison of technological innovation. Her academic achievements include Innovation Index of Chinese Industrial Clusters, Research on Independent Innovation with Chinese Characteristics and Small and-Medium-Sized Enterprises: Engine for New Job Opportunities. The fourth industrial revolution is changing the world at an unprecedented rate through such radical new technologies as artificial intelligence, clean energy, virtual reality and biological technology. The first industrial revolution used water and steam power to mechanize production. The second used electric power to mass produce things. The third applied information technology to automate production. With a focus on intelligentization and digitization, the new industrial revolution is bound to raise production capacity while fostering profound innovation and reform in terms of technological methods and economic structure. How will the fourth industrial revolution impact China’s economic and social development? How will China react to these opportunities and realize national revitalization? A CSST reporter recently sat down with Liu Xiangli to discuss these issues. CSST: Three industrial revolutions have taken place so far, and all of them have helped humanity to enter a new phase of social development. In what ways will the fourth industrial revolution transform the current social production system? Liu Xiangli: The fourth industrial revolution will impact the social production pattern in a profound way. First, AI-based automation and the application of the Internet of Things to management equipment will make the process of product design, production and sales more rapid, flexible and efficient. Simply put, consumer demand will be delivered to factories more promptly and factories will become more flexible to switch production lines to satisfy consumers. The mass production of a single product will be gradually replaced by the mode of mass customization. Second, digital technology, such as big data and cloud computing, transforms the model of production development, maintenance and improvement by shifting added-value field of manufacturing to data analysis, software and system integration. Big data can be adopted to investigate information about customers and users, helping enterprises to open up new markets and create greater value. Also, the pattern of social labor will undergo enormous change. Robots will have advantages in speed, strength and precision and fundamentally improve the ability to recognize, analyze and judge due to rapid progress in digital technology. In terms of production and service, automation will replace repetitive manual labor. Some equipment can complete tasks of an extensive range of jobs that require recognition ability. In the future, most procedural work and some non-procedural work will be done by smart equipment, or their efficiency will be spectacularly improved due to it. To sum up, the fourth industrial revolution will radically change the nature of social production, greatly increase labor productivity and transform the industrial and labor structure, thus shifting the process of human development. Each industrial revolution has changed competitiveness of countries in the world. Some countries may rise and become global economic leaders. Britain turned into the “world’s factory” in the first industrial revolution and the United States relied on mass production to gain industrial and technological prominence in the second round. In the third industrial revolution, Japan emerged in such sectors as automobiles and domestic appliances due to its sophisticated mode of production. The fourth industrial revolution will certainly lead to changes in the world economic landscape, and it will transform the national competition pattern. CSST: In recent years, China has actively developed such industrial fields as AI, big data and the internet to embrace the arrival of the fourth industrial revolution. At present, what are the circumstances of these fields? What positive impacts will the fourth industrial revolution have on China’s existing production system? Liu Xiangli: The fourth industrial revolution will give birth to data analysis, cloud computing, AI and other emerging industries. Software, robotics, the internet and other industries will also enter a stage of faster development. The integration of digital technology and traditional manufacturing technology will create a greater number of new products and services, thus leading to more emerging sectors. Sectors will fuse with each other. For example, enterprises mainly engaged in manufacturing may begin to offer services and become solution providers. Information enterprises may use big data technology to enter the manufacturing sector and develop new products. In the future, these industries will achieve higher labor productivity, greater value creation and faster revenue growth, serving as crucial engines of the manufacturing industry and the whole economy. Digital technology will produce new jobs, such as scientists of industrial data, coordinators of robots and on-site service engineers while reducing labor demands for machine operation, quality management, logistics, transportation and equipment maintenance. In order to adapt to the fourth industrial revolution, China adopted the “Made in China 2025” strategy in 2015 and clarified that it will basically achieve industrialization and improve its informatization by 2020. Also, significant progress is expected to be made in manufacturing digitization, networking and intellectualization. In circumstances like this, the country has formulated a series of supportive policies to encourage enterprises to transform and upgrade technologies in the aspects of business environment, talent, finance and taxation. In fact, the fourth industrial revolution, based on intelligent manufacturing, is providing China with an opportunity to become a global pioneer. According to the National Bureau of Statistics, China’s added value of high-tech industry and equipment manufacturing industry have respectively achieved a year-on-year growth of 13.1 percent and 11.5 percent in the first half of 2017, 6.2 percent and 4.6 percent higher than that of above-scale industries. The World Intellectual Property Organization, Cornell University and other institutions jointly released Global Innovation Index 2017, showing that China is among the world’s innovation leaders and ranks the 22nd, three positions higher than the previous year. China welcomes the arrival of the fourth industrial revolution and has made a series of achievements. Its Sunway TaihuLight is now the fastest supercomputer in the world, with a Linpack benchmark result of 93 petaflops, according to the twice-per-year TOP500 list released on June 19. The former champion, China’s Tianhe-2, now ranks second. China’s usage of industrial robotics has increased significantly since 2013 and the total sales volume in 2016 hit 8.9 million sets, up 26.6 percent year on year. Among them, domestic industrial robots totaled 29,000 sets, an increase of 30.9 percent. Also, 85,000 industrial robots have been installed in 2016, accounting for more than 30 percent of the newly installed robots globally in the same period. In terms of the internet economy, Chinese enterprises are also showing enthusiasm for vigorous innovation. Baidu, Alibaba and Tencent are among the world’s top 10 internet companies. In the electronic communication industry, China is actively developing 5G communication technology, which enjoys the leading global position. The technology is expected to be a new international standard of the International Communication Association. CSST: In the process of human history, the occurrence of every industrial revolution has inevitably led to economic and social restructuring. Some scholars predict that the application of high technology will result in a decline in the employment rate within the low-end labor market, thus causing a series of social problems. Liu Xiangli: Foreign studies indicate that the substitution of automatic equipment for labor may cause differentiation of the labor market or occupations, which means reduced demand for procedural work and greater demand for non-procedural work. The prediction has become reality in the labor markets of developed and some developing countries. Of the 34 developing countries surveyed by the World Bank, 27 of them saw a decline in the proportion of secondary skilled employment from 1995 to 2012, while the proportion of high and low-skilled occupations have grown. It is difficult to identify Chinese market polarization or occupational differentiation due to a lack of occupational statistics. In light of labor market data, the demand for production and transportation equipment operators in the past decade consistently outstripped supply, forming a greater shortage than that of professional technical personnel. This suggests that most Chinese companies still rely heavily on labor input. It also shows that automation still isn’t extensively used. There hasn’t been much large-scale substitution for manual labor so far. But some companies have shifted attention to robots or automation due to rising labor costs. Foxconn’s plant in Kunshan, Jiangsu Province adopted robots in 2010, which reduced its workforce by 60,000. Other enterprises that haven’t introduced robots invest in informatization to save labor cost. In the era of digital technology, it is inevitable to see an automation-based shift of labor mode, leading to a restructuring of occupation and employment. CSST: What should China do to seize the opportunities brought by the fourth industrial revolution? Liu Xiangli: At the national level, we should promote the “Made in China 2025” strategy. Related organizations should closely track the development of technology and enterprises, focus on development priorities, select the technologies that suit Chinese market, carry out R&D projects and draft appropriate measures. At the enterprise level, enterprises should aim to build intelligent factories in terms of production and supply chain management. Key companies in crucial areas need to play a leading role. Governments should provide platforms and services for these companies to promote new technology, exchange information and engage in cooperative development. Also, governments should create a favorable environment in terms of taxation, land and industrial policies. In addition, public research institutes can be involved to help upgrade the technology of small and medium-sized enterprises. The most urgent task is to reconstruct communication specifications and develop software systems that can transform the data with different communication specifications. At the same time, we should also speed up development of supportive measures for information security. In addition, basic information will be shared by establishing a public platform and introducing a mechanism for information exchange.